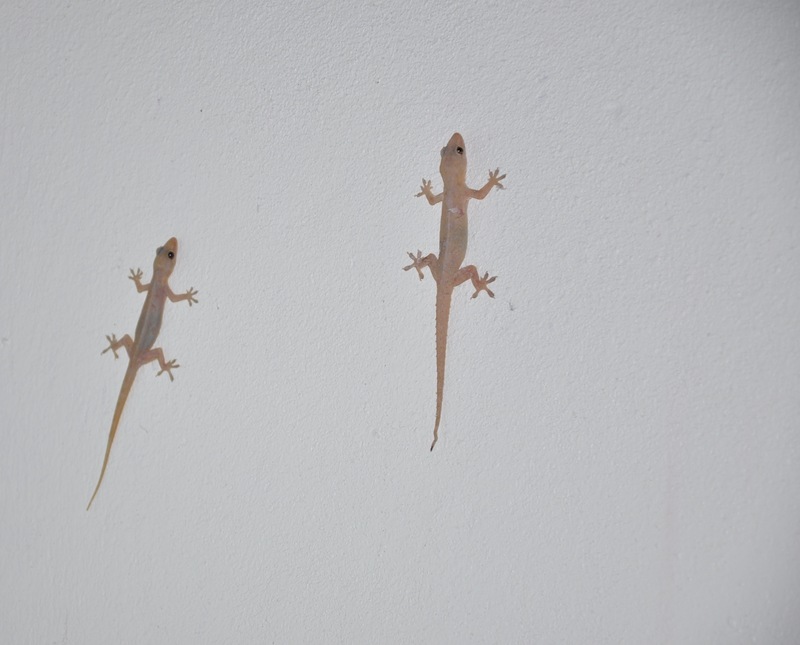 While travelling around South East Asia seeing geckos was common but I soon learned there are many strange varieties. The rather big Tokay Gecko are brightly coloured and make a distinctive mating call which can be heard in the short YouTube clip below. 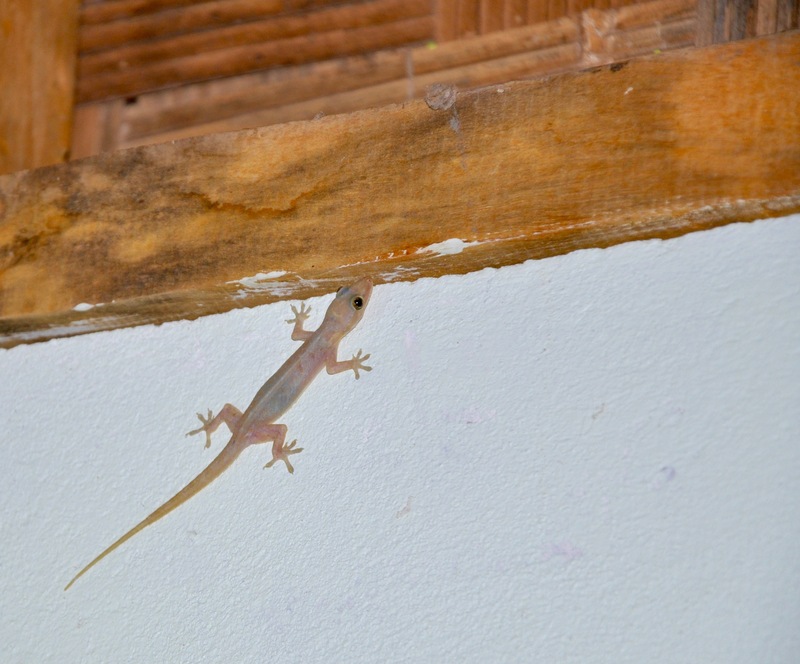 We had this one in our bungalow for a week it was about 50 cm long. Photo: Koh Rong, Cambodia. 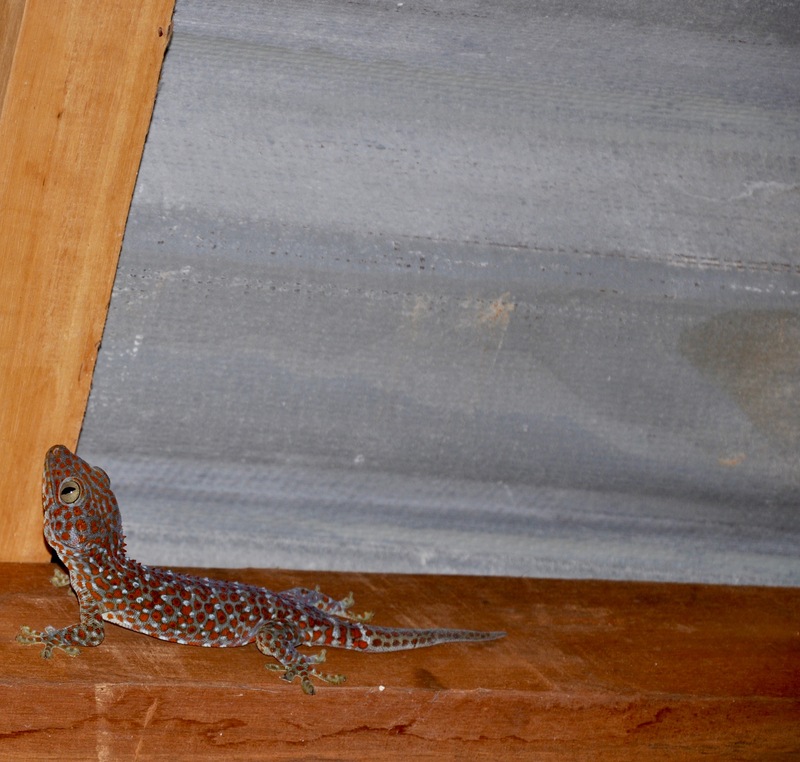 Listen to calls of the Tokay Gecko! 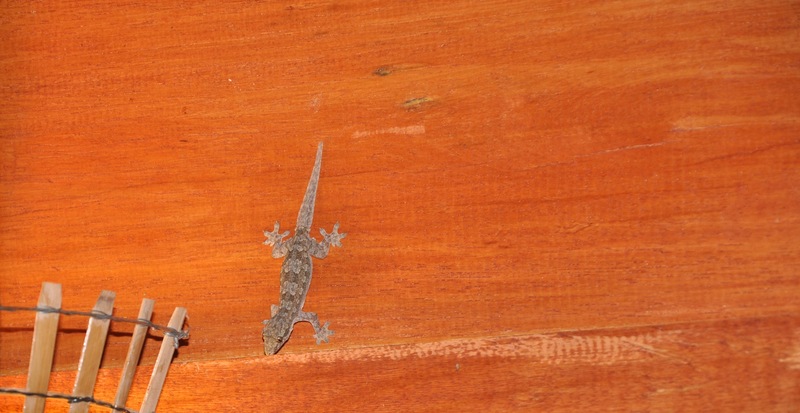 The picture below shows the small Asian House Gecko. It is 10 cm long and is a transparent pinkish color. They helped keep the mosquito population low in the Bungalow and were a great source of entertainment. They would remain motionless until we no longer watched them and then ran away to hide in the thatched roof. 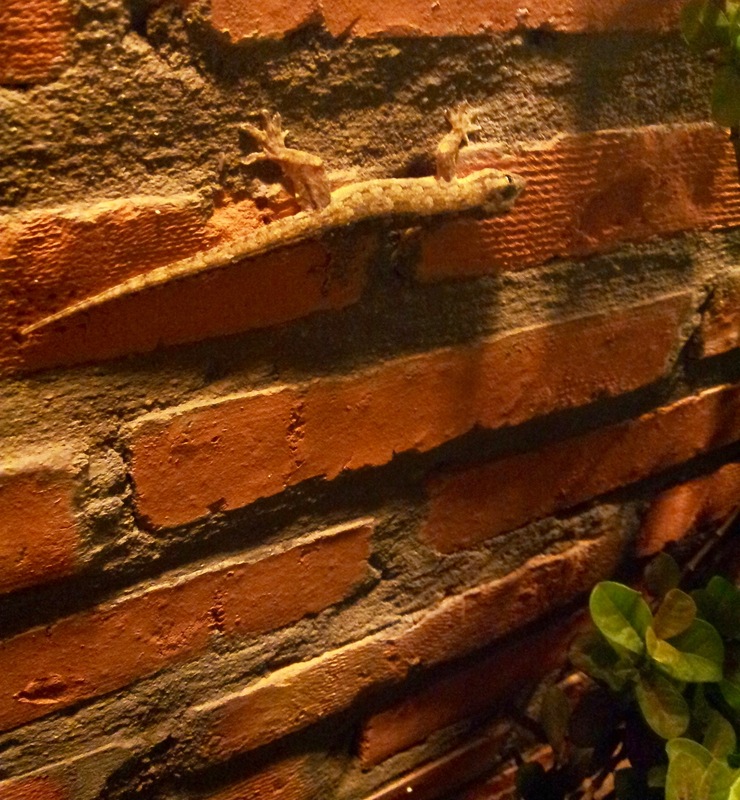 One hot and humid night in May there were eight geckos running around the roof and walls of a Thai restaurant. They were mating, fighting, and pooping onto the people, floors and tables. I absent-mindedly flicked one off the table, sending it flying across the restaurant to hit a young British backpacker. This is a tiny gecko poop that landed between our Pad Thai and Green Curry. Watch this Tokay gecko catching bugs and licking his eyeballs! This Spotted Gecko (15 cm long) ate a hole in the back pack (when I was out snorkelling) to get some sweet crackers. 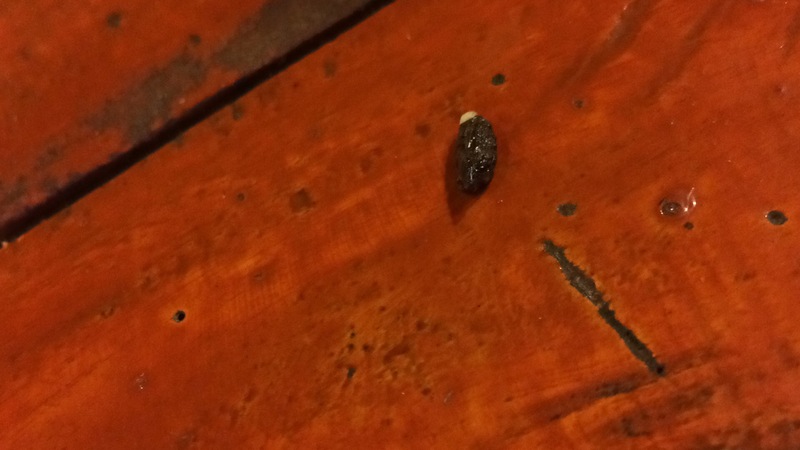 It also ate a banana that was hanging from the curtain rod and some shelled peanuts that were sealed in a plastic package. He did use the bathroom to leave some turds though.